First I felt a little silly putting up a detailed list with the freezer content to keep track of each bag I take out. But this is not my personal listmania. It saves me from digging around and getting frostbite on my hands. 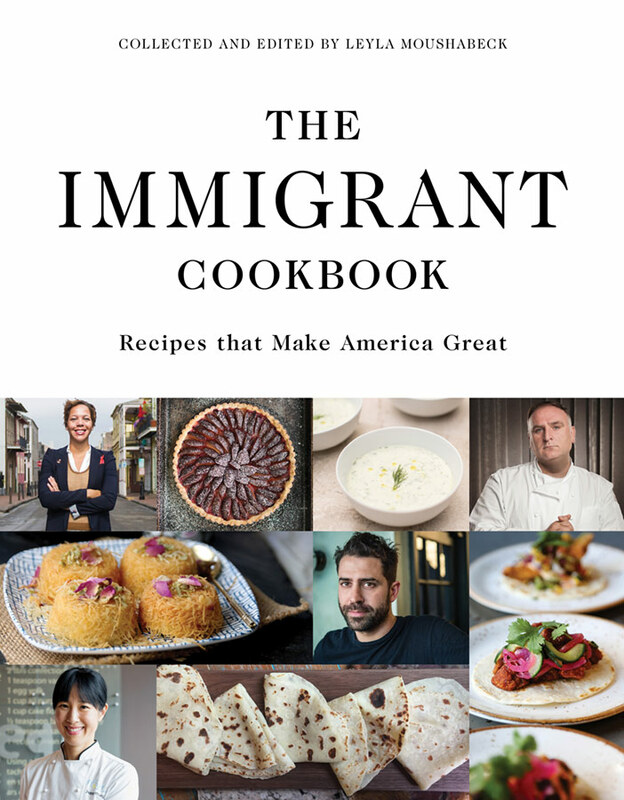 This list, and whatever else needs to be used up, often dictates what I cook. A quart of milk with a passed “sell by” date (even after living in the US for 13 years I still don’t understand how this date tells you the actual expiration date…), and several bags of frozen red currants inspired me to make this lemon trifle. I used a mix of blueberries and currants, but only blueberries, or a mix of blueberries and raspberries, will taste good as well. Instead of drizzling the ladyfingers with the usual sherry I used homemade black currant liqueur (cassis) but of course store-bought cassis will be just fine. 1. Cut the ladyfingers into 1-inch pieces and spread them in a decorative glass serving dish with a wide bottom. Drizzle with cassis. 2. 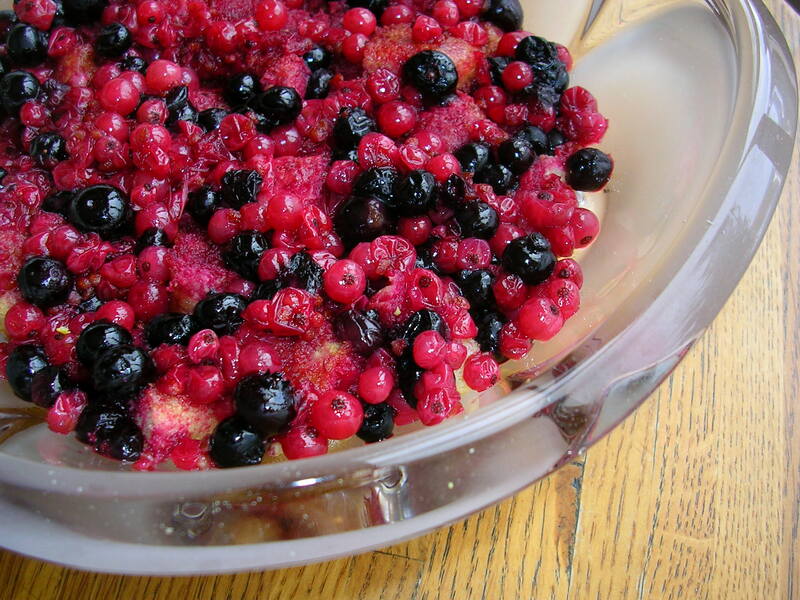 Put the berries in a small saucepan and briefly cook so they pop and release their juices. Sugar to taste and cool slightly, then spread over the ladyfingers. 3. For the lemon custard, zest and juice the lemons. Slowly bring the milk and the lemon zest to a boil. 4. Mix the egg yolks with the sugar and the cornstarch to a smooth consistency without any lumps. 5. Strain the hot milk through a fine sieve. Discard the lemon zest. 6. Add a small amount of the hot milk to the egg yolks and whisk to incorporate. Add some more milk and whisk again. The mixing of the hot milk and egg yolks must be done very slowly and gradually so the eggs won’t curd. 7. After all the egg yolks and milk have been mixed, pour it in a saucepan and slowly bring to a gentle boil, whisking constantly. Cook and whisk until the custard thickens. 8. Remove from the heat. Add the lemon juice and whisk until cooled slightly. 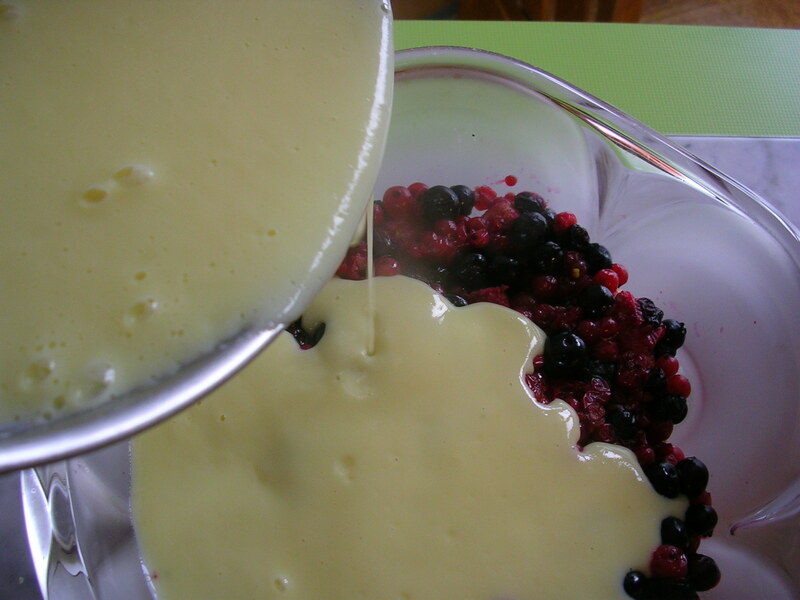 Slowly pour the custard over the berries so that the layer won’t be disturbed and the berries won’t rise to the top. Cool. 9. Cover with plastic foil and chill several hours.